HDMI converter for Amazon Streaming Stick. 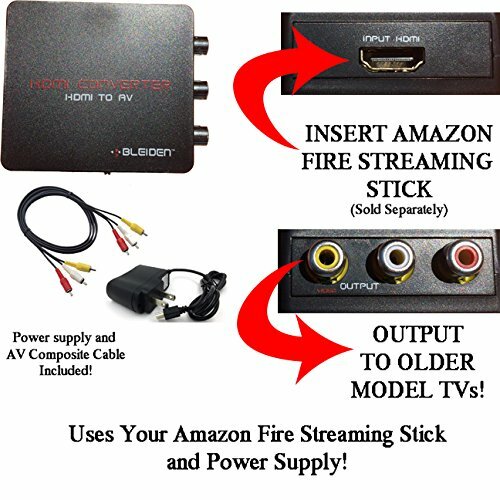 This device will convert the high-definition HDMI output from the Streaming Stick into standard definition AV output used by most older-model TVs. Includes HDMI to AV converter, power cable, composite (red/white/yellow) cable and instructions. Installs in minutes. If you have any questions about this product by Bleiden, contact us by completing and submitting the form below. If you are looking for a specif part number, please include it with your message.